In our latest article written by our expert stone masons in Co. Wexford, Ireland. We look at what it takes to design and lay the best garden stone paving. A properly installed and well thought out paving stone patio enhances the look of your home and makes outdoor living more enjoyable. Whether you want a limestone paving patio that harmonises with the architectural style of your home or a granite stone patio built for heavy use, careful planning and preparation ensures that you’ll be pleased with the results for many years to come. Firstly, when embarking on any project like this planning is key. Drawing out a plan will help you when it comes to visualising and purchasing materials. 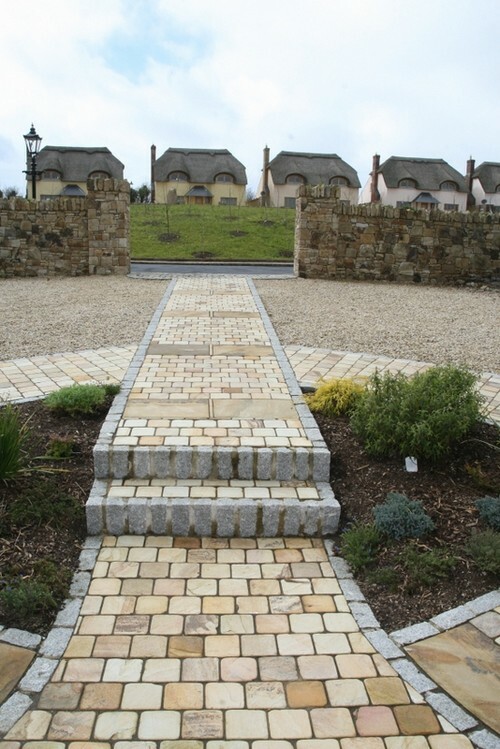 Our experts based in Camolin, Enniscorthy, Co. Wexford will support and help you design the paving project of your dreams. Come and visit us any day and we will be delighted to help. SNGranite are experts in the field of Stone Cladding and Stone products. In our latest article we explore some of the reasons how and why one should contemplate using cladding stone on their building project. Stone cladding can be utilised beautifully on both internal and external projects to add to the aesthetics of any home. It can be very expensive to use stacked stones, however stone cladding offers a cheaper alternative but still looks great. A more recent trend in the area of landscaping shows more and more home-owners using cladding as a focal point for their garden. Features such as garden planters, outdoor bars and bbq’s can utilise stone cladding to bring out the best in any garden. Read more of this article which delves deeper into the reasons for using stone cladding on our website or contact one of our experts through our website for all the information you need to know when embarking on your latest project. Come visit us in our extensive display area in Camolin, Enniscorthy, Co. Wexford. courtyards. For those of you who have noticed that your paving slabs are becoming uneven or even dislodged our latest article will offer you some advice on how to deal with the main cause of this problem: Tree roots. This is also a consideration one needs to remember when installing a paved patio, the position of existing trees and also where best to plant new trees. This article explores issues such as identifying the size and amount of roots that are causing issues with your paving, how to best remove problematic roots and how to prevent root infiltration. 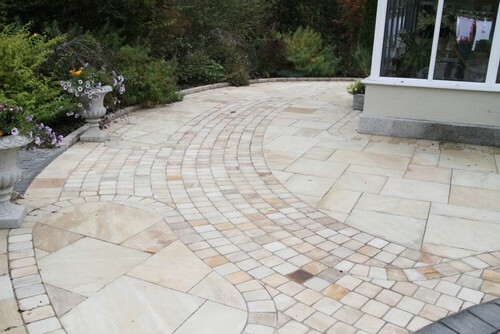 You can always contact us at S & N Granite via our website to speak to one of our experts who will advise you how best to deal with any issues you have with your sandstone paving. 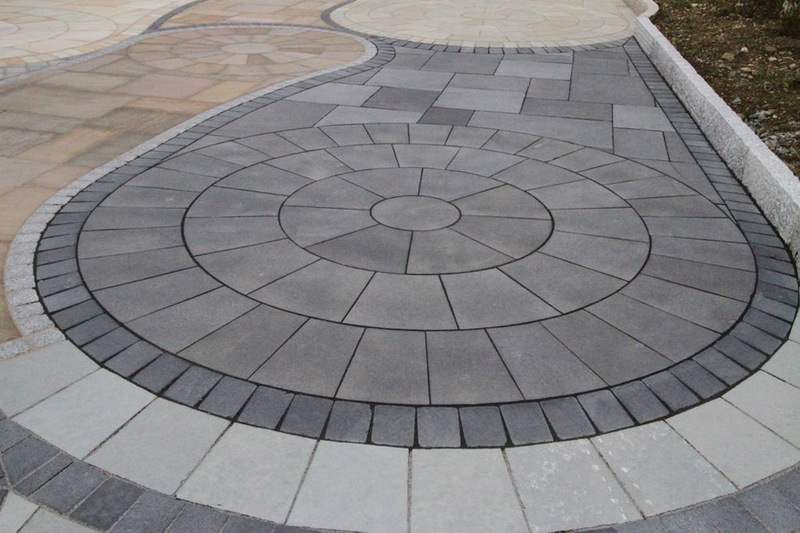 Browse our paving design centre to browse through paving stone to suit your outdoor area…. The latest article on our website examines how to get rid of mould from your Sandstone Paving patio. As sandstone is a durable material there are a number of options available to you to clean off the winter grime. The article also explores ways of preventing mould build up on your paving slabs. From preventative measures to home remedies this article will leave you fully informed. With the spring in full effect it is time to read more of this article and get out to clean your paving while the sun is shining! 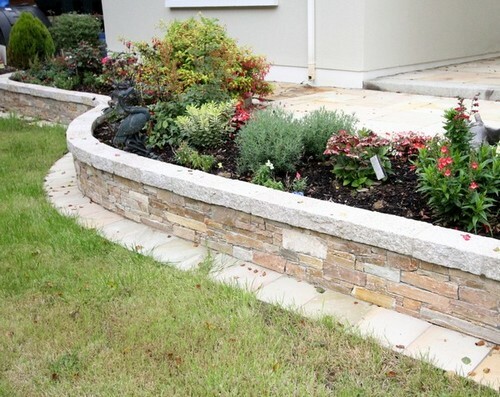 Contact S&N Granite by visiting our website or come down to our beautiful display area in Camolin, Co. Wexford and speak to any of our experts about our range of sandstone paving and cladding products. To read more on this very informative article just click here….